Introducing the COMP-2 Compulator Pro. This high quality optical compressor gives you the magical sound of LA-2A type compression in a compact but powerful package. 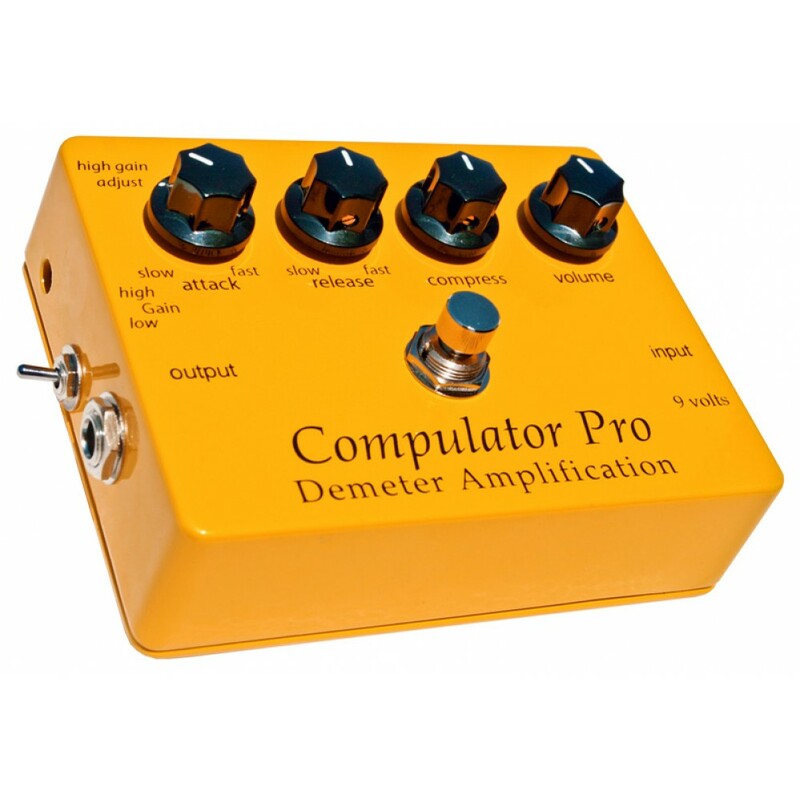 Using the same circuitry as our Compulator pedal, the Compulator Pro adds attack & release controls, which can be tweaked to modify the onset & sustain of the compressor. You can finely tune your compressed tone to mimic almost any type of compressor (with the controls set at their fastest setting you have the same setting as our classic Compulator). We have also included a adjustable gain boost when you want deep compression at the flip of a switch or if you need to set up for two different instruments. Hand made in the U.S.A. using the highest quality components.